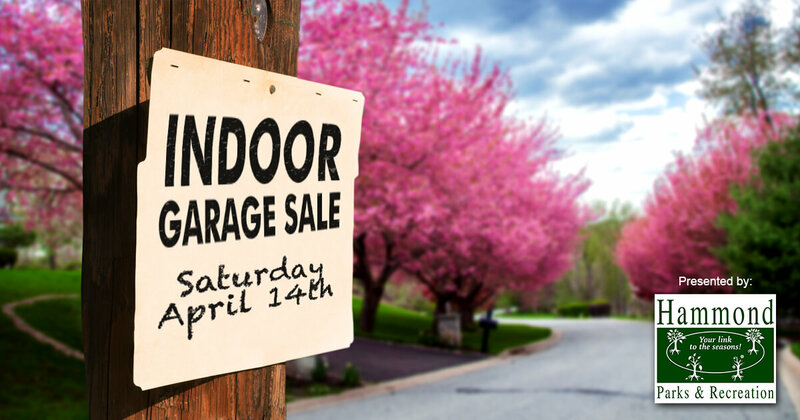 Mayor Thomas M. McDermott, Jr. and Hammond Parks & Recreation are pleased to bring you the first Indoor Garage Sale for 2018. Admission is free and concessions will be available for purchase. 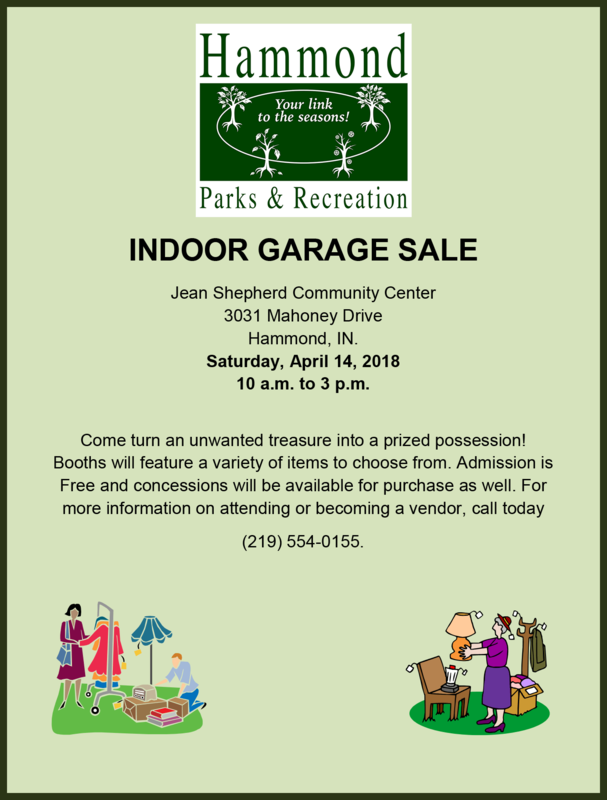 If you are interested in renting a booth to sell your treasures, call the Jean Shepherd Community Center at 219-554-0155.